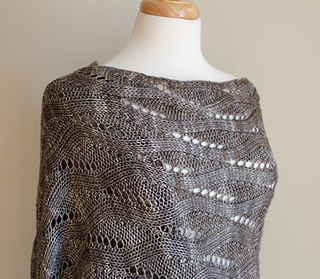 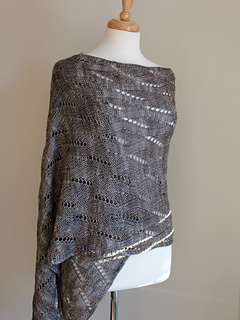 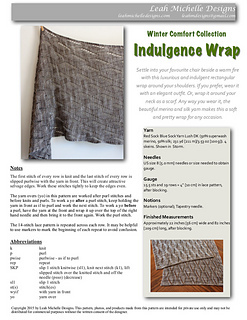 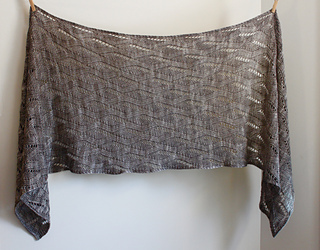 The Indulgence Wrap is the third pattern in the Winter Comfort Collection. 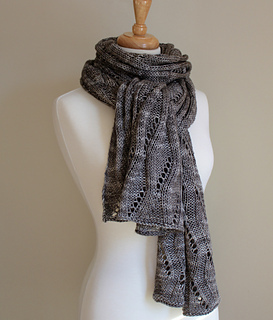 Other patterns are the Contentment Cowl, Sustenance Scarf, Tranquility Infinity Scarf, and Gratification Hat. 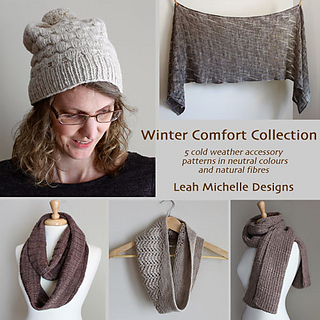 This is a collection of 5 cold weather accessory patterns in neutral colours and natural fibres. 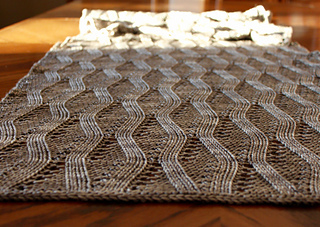 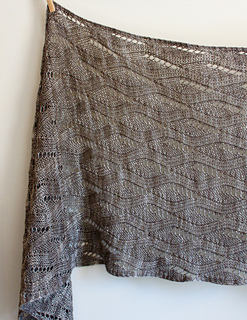 Finished measurements: Approximately 22 inches (56 cm) wide and 82 inches (209 cm) long, after blocking. 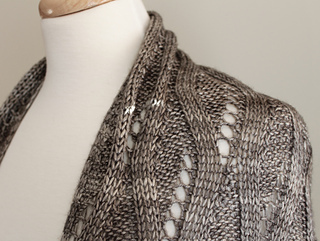 Skills required: basic lace knitting & blocking. 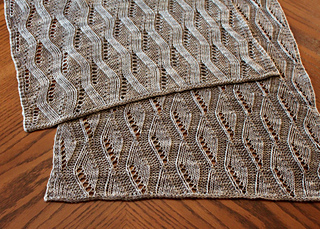 Stitches used: k, p, sl, yo, SKP.